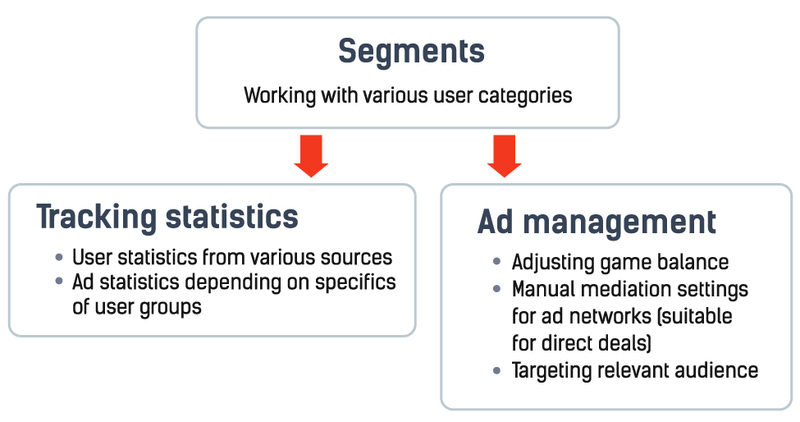 Segments is used to track statistics for various user categories and to manage ads for this categories. A segment is a fraction of audience unified by restrictions: e.g. by gender, age or any other parameter known to the app and directed to Appodeal SDK. Additional ad management settings can be applied to each segment.